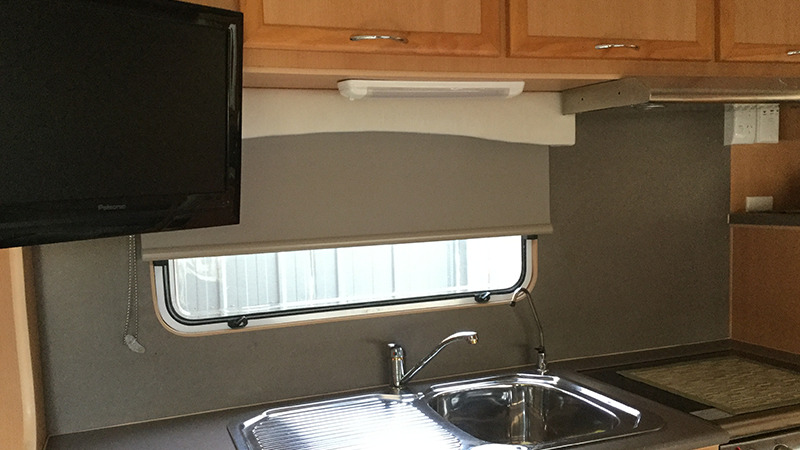 Caravan blinds turn your camper into a home away from home. 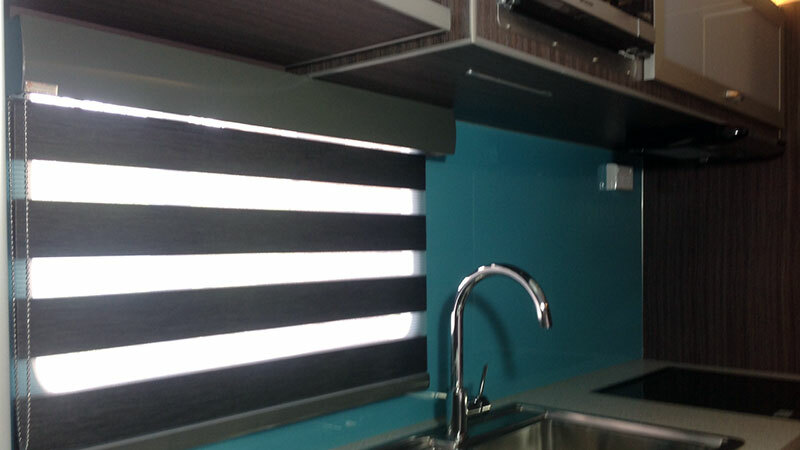 Designed in Melbourne, these caravan blinds are safe and secure on the move, yet warm and welcoming to live with. 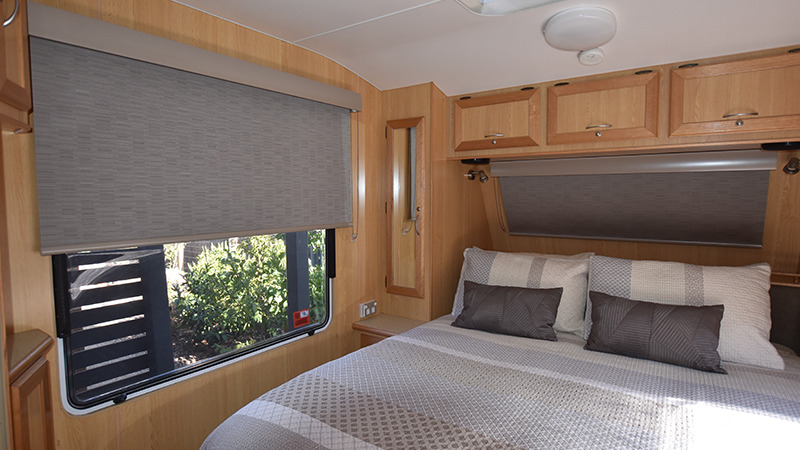 Available in a wide range of fabrics and colours, Malibu Blinds are sure to transform your caravan. Space is everything, when you're kitting out a caravan. That's why purpose-designed caravan blinds are a must. As beautiful as anything you would hang in your regular home, these blinds have practical and functional 'thought in'. That's because Malibu caravan blinds are designed right here in Melbourne. 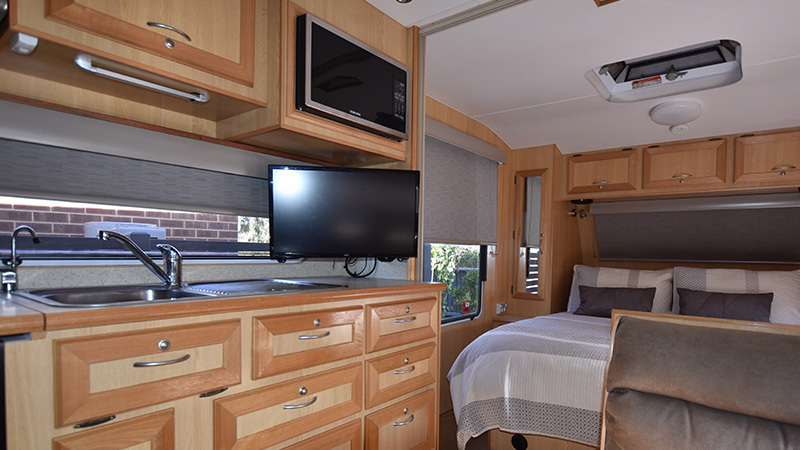 You want the comfort of home in your caravan. And privacy too. Choose sleek-fitting Malibu Blinds for a profile that won't catch you, clothing or luggage out. Simple-to-use systems give you plenty of flexibility when it comes to blind fabrics too. Select from easy-clean textiles with a huge array of privacy and thermal properties. Or let us create a look for you. 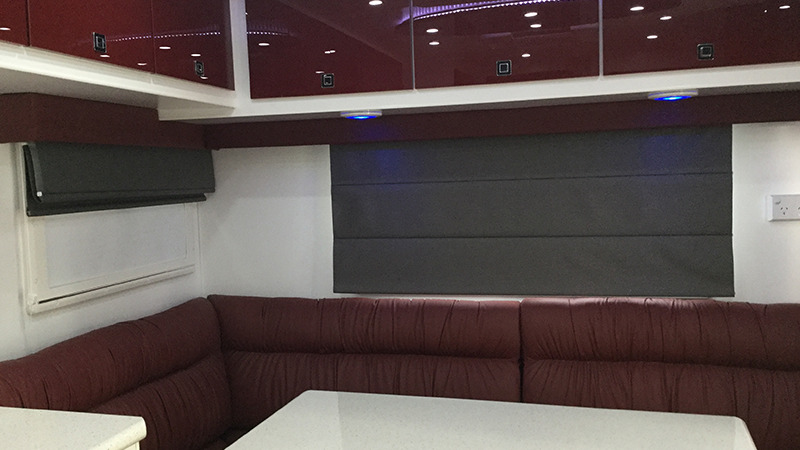 Once your caravan blinds have been designed just the way you want them, Malibu Blinds will have them custom made to order. 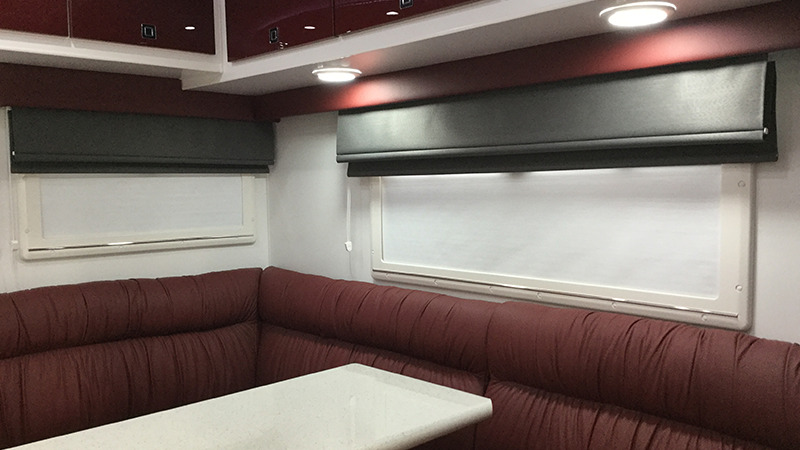 A must have for your on-road home are Malibu Blinds Blockout Roller or Escreen blinds. With a unique pelmet system and specifically designed hold down clips, your blinds will not move or flap during travel. Wide range of colours Available in a wide selection of fabrics and colours. Optional powder coated Pelmets Stylish powder coated to any Dulux colours, your Malibu pelmets will set your caravan apart from the rest. They will also ensure dust free blinds. Tear-drop shaped Bottom rail This unique bottom rail option is modern and an aesthetically pleasing look. Durable, will not twist or bow. Up to 20 colour options. 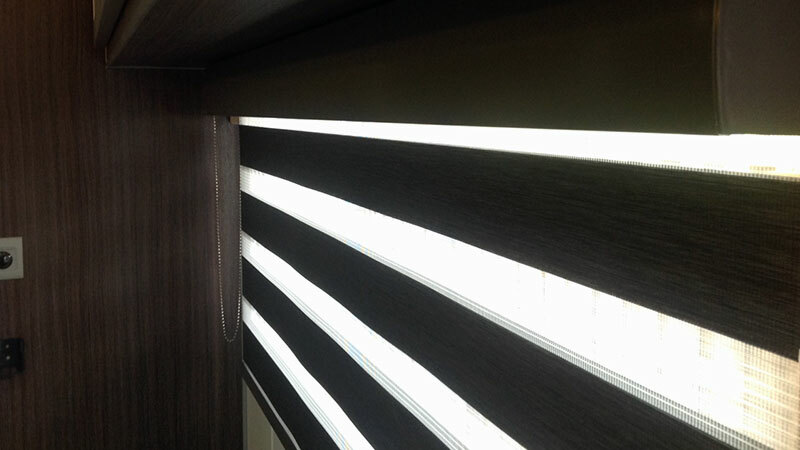 Hold down clips Your caravan roller blinds are held down at the bottom rail while you travel. This prevents undesirable noise or flapping of the blinds.